Joan Ables Ellis died November 23, 2018 at Select Specialty Hospital in Jackson. Visitation will be 11am Monday, November 26, 2018 at Southern Funeral Home in Lexington. Funeral services will follow at 12 noon. Burial will be in Pinecrest Cemetery in Tchula. Joan was born September 19, 1953 to Henry S. and Lena Mae Jennings Ables. Joan had been self employed and had also been an employee of the Department of Human Services. Survivors are her mother, Lena Mae Ables of Jonesboro, AR; sisters, Cathy Wilson (Denny) and Pamela Lawshe (Jeff) both of Jonesboro, AR; nephews and nieces, Bryan Wilson (Megan), Lindsey Busby (Emerson), Whitney Robinson (Kevin) and Brandon Lawshe all of Jonesboro, AR. Joan was preceded in death by her husband, Norman Ellis and her father, Henry S. Ables. 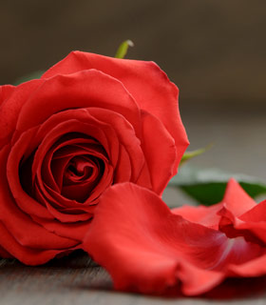 To send flowers to the family of Joan Ellis (Ables), please visit our Heartfelt Sympathies Store.